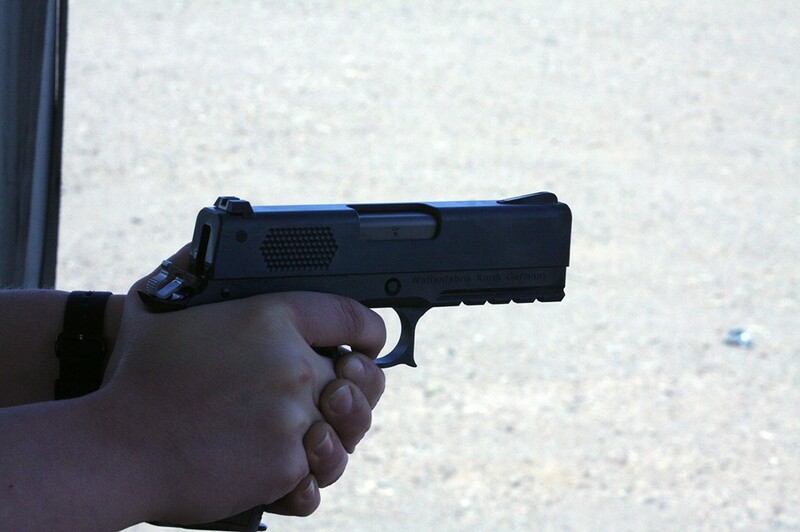 Many 1911’s have been built with little concern of cost, each followed with respect. So what makes this German attempt worthy of such awe in print? Using a fixed barrel and a roller delayed gas blowback action, the PRS from Korth, is a 1911 the way a modern Maybach is a luxury sedan. Easily mistaken as art, by those familiar with such tools, and loved or dismissed by disciples of the 1911. Korth has built a solid and deserved reputation for spectacular fit, finish, and tolerances. Each pistol brings envy and then blank stares when made aware of the price. What surprised me on the range was that the gun was so dirty. 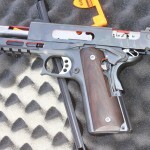 With the amount of traffic in and out of the booths, the gun was getting a little too neglected for something with such tolerances…that is my opinion anyhow. I have owned several firearms that cannot withstand the amount of crud that builds up from normal shooting. 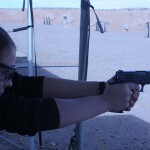 On this occasion, I stayed behind the camera and so any range report will have to be written by someone else. 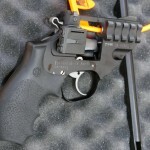 I think Guns.com wrote a Korth review quite well a few years ago, though speaking of the 9mm, it applies here. Well, it shot fine. Good. What else can I say? 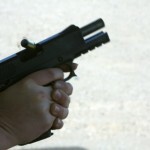 The trigger was smooth, it broke clean and the recoil was minimal. Accuracy was without a doubt better than I am. It fit my hand fine, operated fine, and the sights were fine. Fine. Fine. Fine. Saying anything else seems almost superfluous. Silly. Of course it was fine. It’s perfect. How could it not be fine? I felt almost inadequate to judge the thing. If you ask me “how many stars would you give this gun, on a scale of one to five?” I’d say “pinocle” or maybe just stare at you. 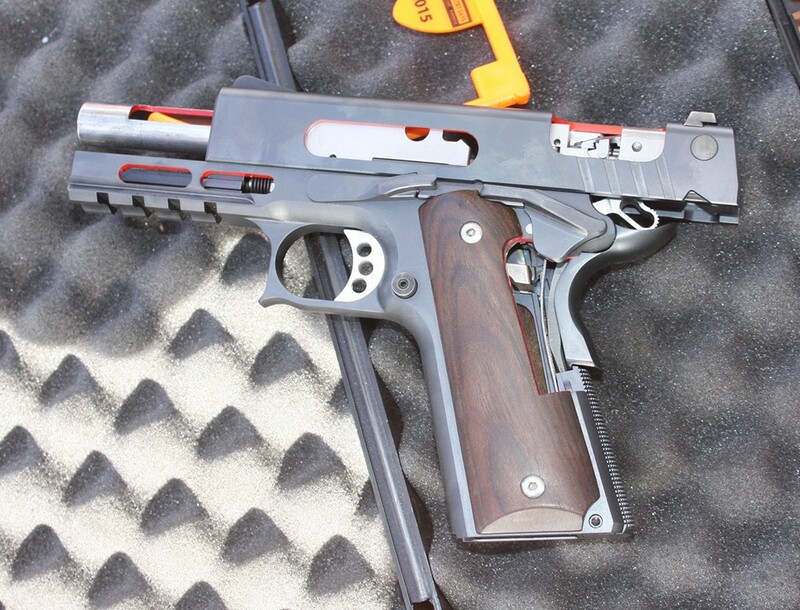 Weighing in at 2.2 pounds, the shown PRS is a .45 Auto four inch barreled model. 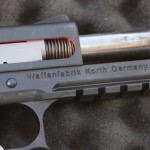 The Lothar Walther fixed barrel uses a 17.7 inch polygonal twist. The slide and frame are both made from hardened carbon steel and uses a double guide groove. 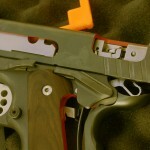 A variety of finishes are available from bluing, PVD coating, or Cerakote. 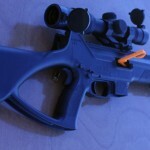 Sights are available as adjustable or combat sights. 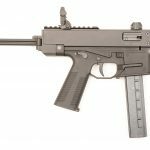 No surprise a new roller-delayed firearm would be made in Germany, the German’s made the system famous when H&K was licensed to manufacture the G3. Famous weapons using this design include the SIG AMT, H&K G3 and MP5. 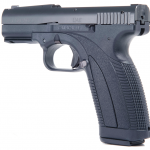 A few pistols that have used some form of delayed blowback include the H&K P7, Steyr GB, and Czech Vz.52*. I assume my general audience knows all of this. However, not all will be familiar with the Austrian Avenger, a 1911 style delayed blowback conversion kit, made by Power Speed and once imported by Hogue Grips. While I don’t know that there is any connection between the Power Speed design and Korth’s, and I don’t mean to infer, but it is of interesting historical note. It is actually strange to me that Korth is on Facebook, like meeting a well liked author while they are working at a local book store. * Update: Roller locked but not delayed. The Avenger didn’t use rollers. 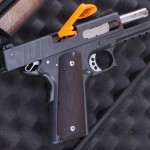 I am aware of this, as I stated, “1911 style delayed blowback conversion”. Thanks for pointing it out if it wasn’t clear. The link provided in the article shows a drawing of the internals of the slide and is clear it does not use rollers. I can’t see anywhere where it says the Avenger used rollers?. It says it’s a delayed blowback conversion. The not knowing if there’s any connection I took to mean that they’re both 1911 style delayed blowback designs from Germany & Austria. FWIW: The Korth patents are online. I’ll see if I can find them again. Oddly enough, I found the Avenger patent first. All I can find are the design patents for the ornamental appearance of the PRS, not utility patents. Search the USPTO site for Martin Konrad Rothmann.